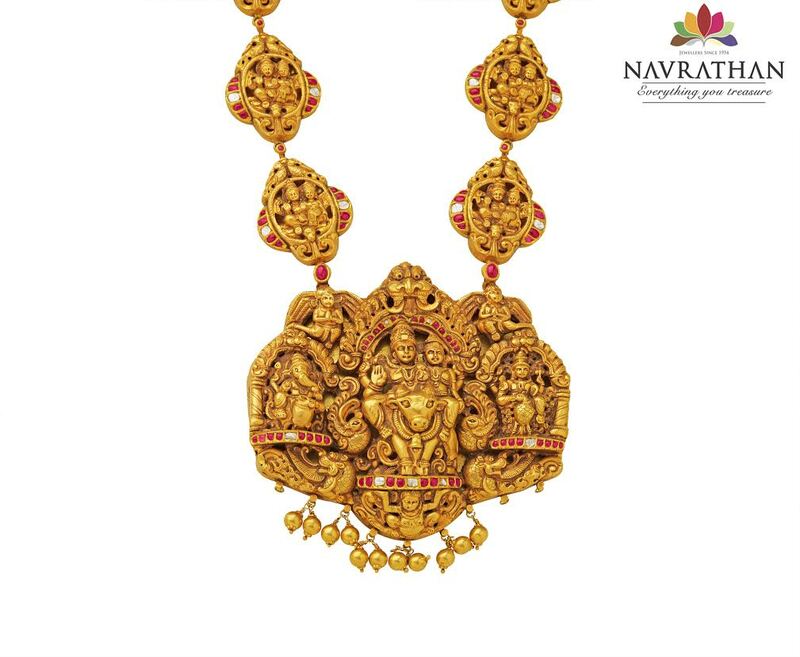 This Akshaya Tritiya, shoppers can bring home endless prosperity with temple jewellery from Navrathan Jewellers. Akshaya Tritiya is a festival celebrated across India. More so, with much fervor, in the South. To celebrate this auspicious day, Navrathan presents three exclusive offers to its customers. Buy 1gm of gold and get 1gm of silver free. Buy 1 carat diamond and get 1gm of gold free. Buy 1kg of silver and get 25gms silver free. This incredible offer ends on April 29th, 2017. So, hurry and choose your luck.